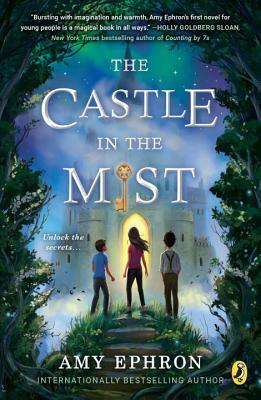 Amy Ephron (www.amyephron.com) is the author of The Castle in the Mist, her first book for young readers, which has been nominated for a SCIBA Award. Carnival Magic, a companion to The Castle in the Mist, will be published by Philomel Books on May 1, 2018. Amy has also written several adult books, including A Cup of Tea, which was an international bestseller. Her novel One Sunday Morning received the Booklist Best Fiction of the Year and Best Historical Fiction of the Year awards and was a Barnes and Noble Book Club selection. She is a contributor and contributing editor at Vogue and Vogue.com, and her work has appeared in numerous other publications. She was also the executive producer of Warner Brothers’ A Little Princess. Amy lives in Los Angeles with her husband; between them they have five children. You can follow her on Twitter and Instagram at @amyephron.